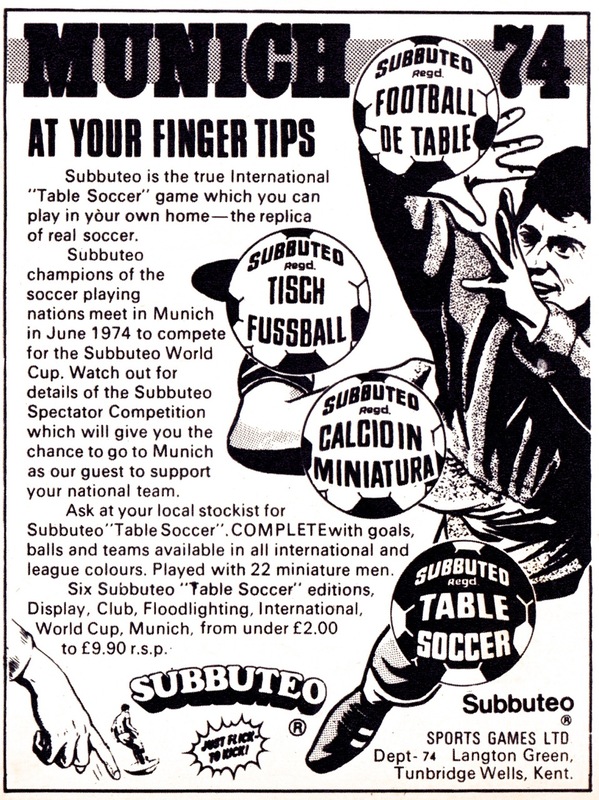 With sales soaring and every young boy in the land seemingly hunched over that distinctive green baize in some cramped attic, the mid 1970s period we’re covering in this second Subbuteo retro marketing collection was probably table soccer’s golden age. 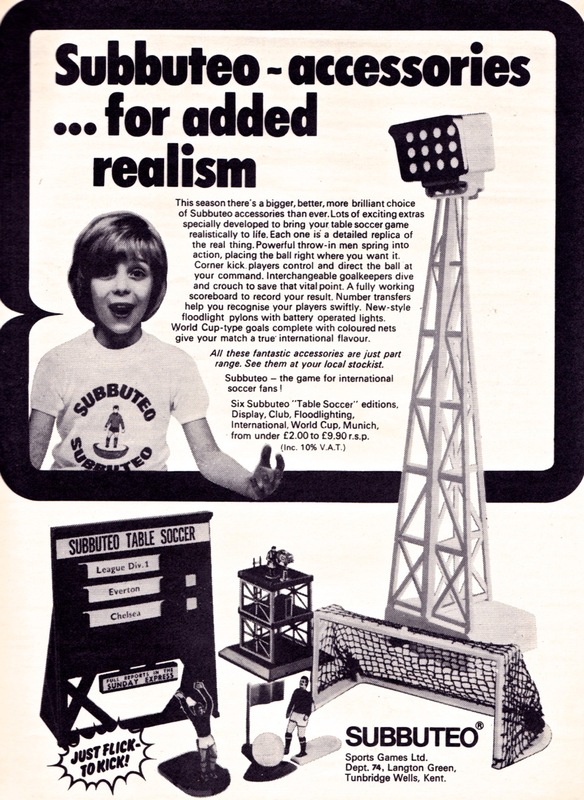 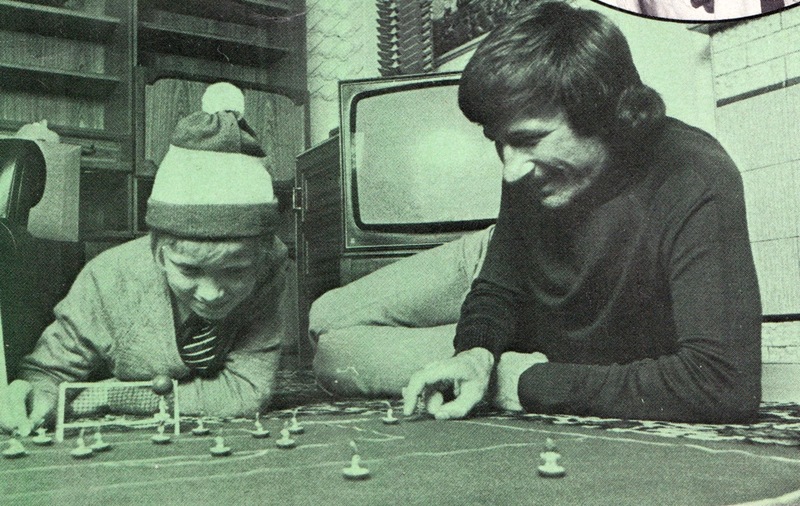 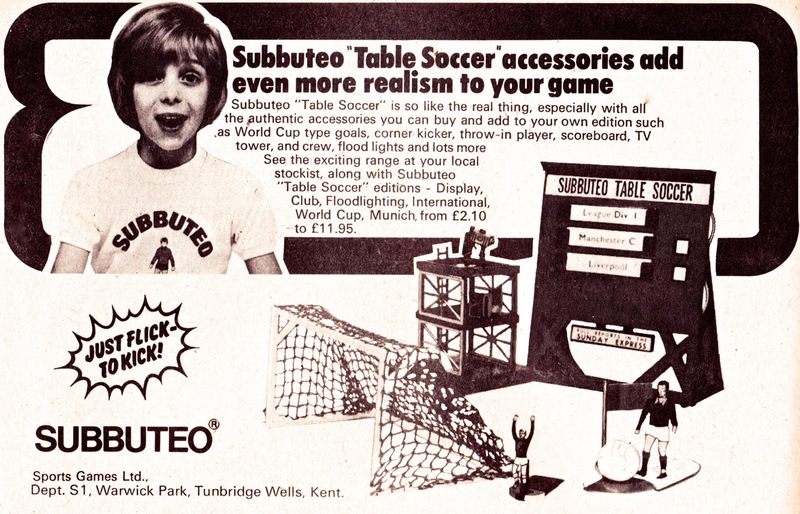 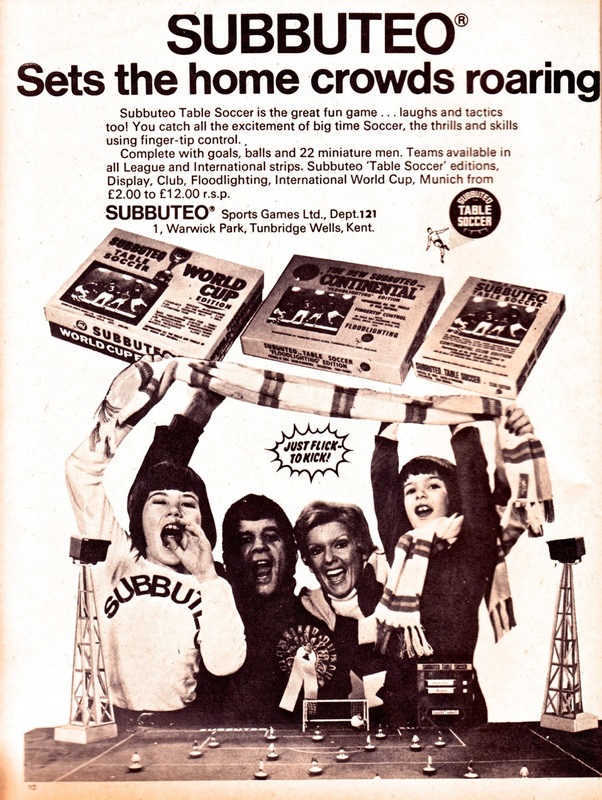 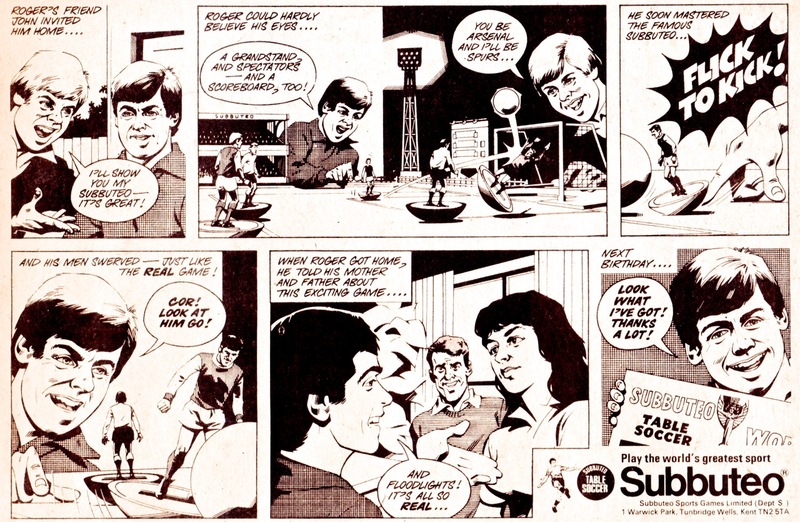 Advertising in these years became more family-centric to try to sell the idea that all the family – not just boys – could participate and enjoy Subbuteo. 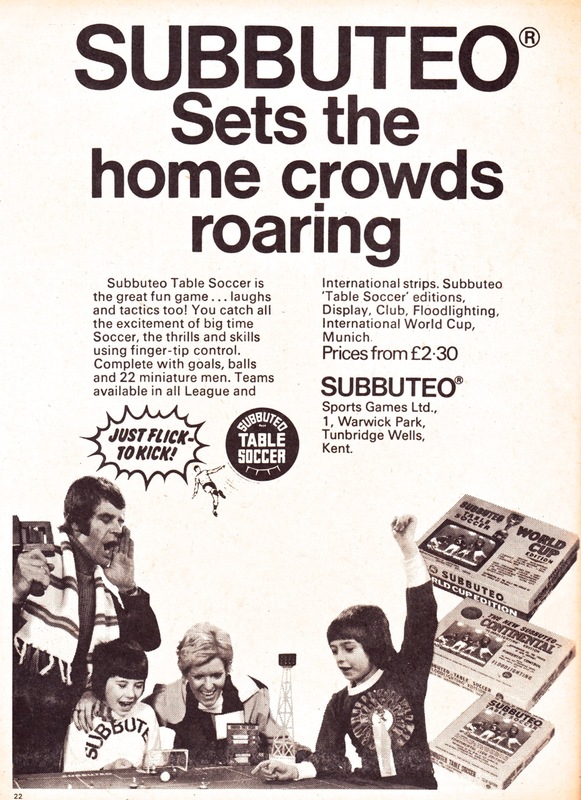 Personally, I never knew a parent who took the remotest interest. 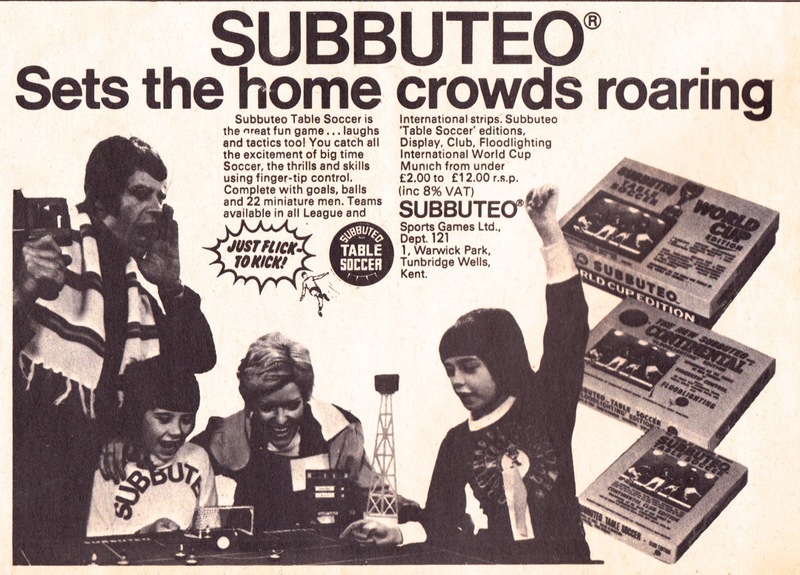 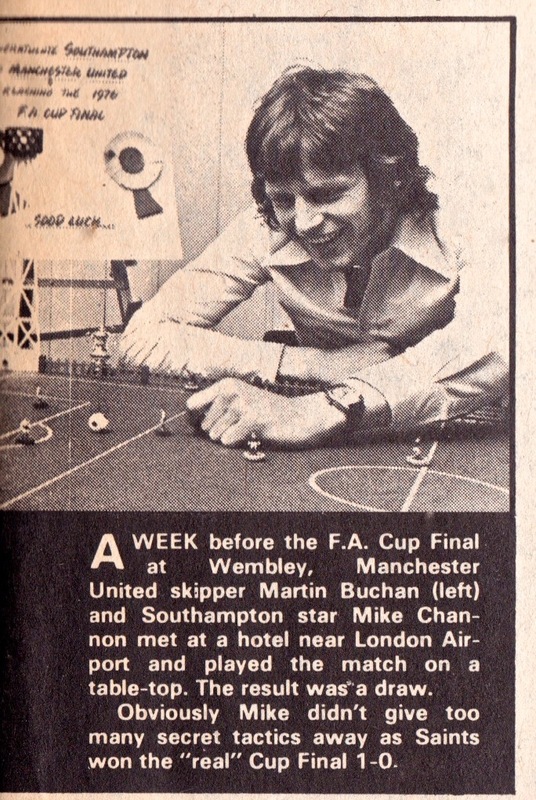 Always keen to promote the idea that Subbuteo was as close to real football as any simulation could be, we have included an example of their clever marketing tie-ins like the time that the captains of Southampton and Manchester United played out their 1976 FA Cup Final meeting on a Subbuteo pitch as a forerunner to the game itself. 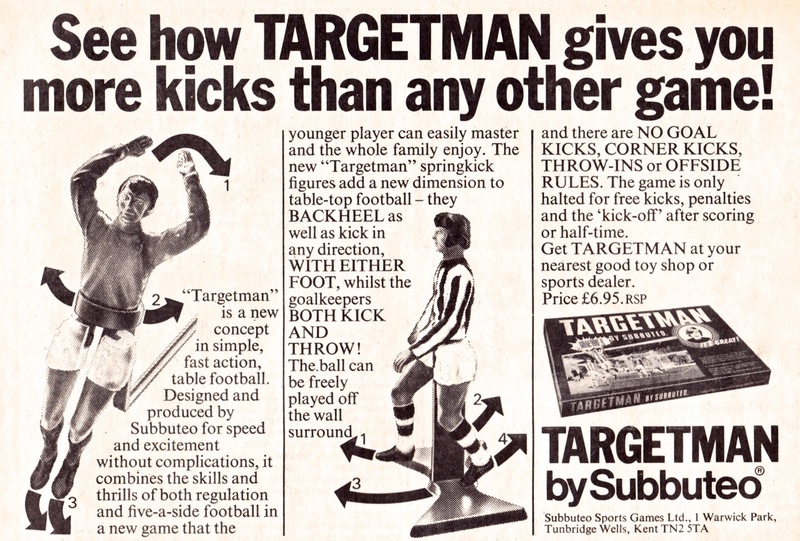 Another spin-off game advertised in this gallery was called Targetman and was aimed at a younger audience (or a cack-handed one like me.) 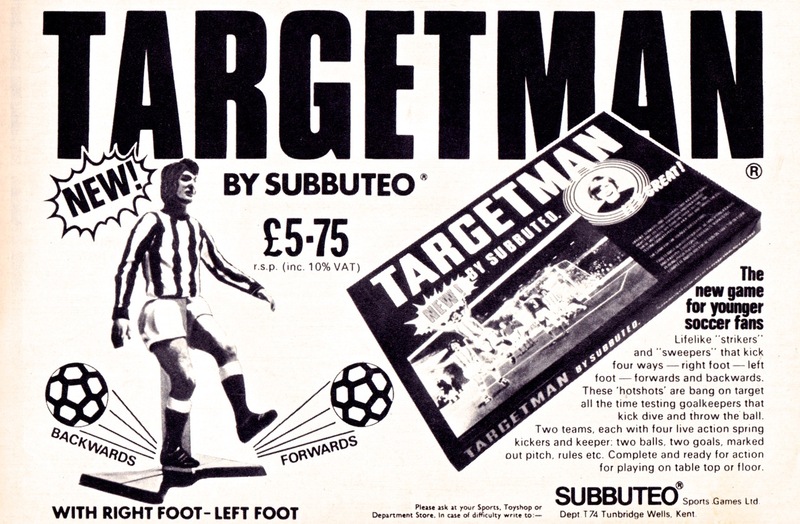 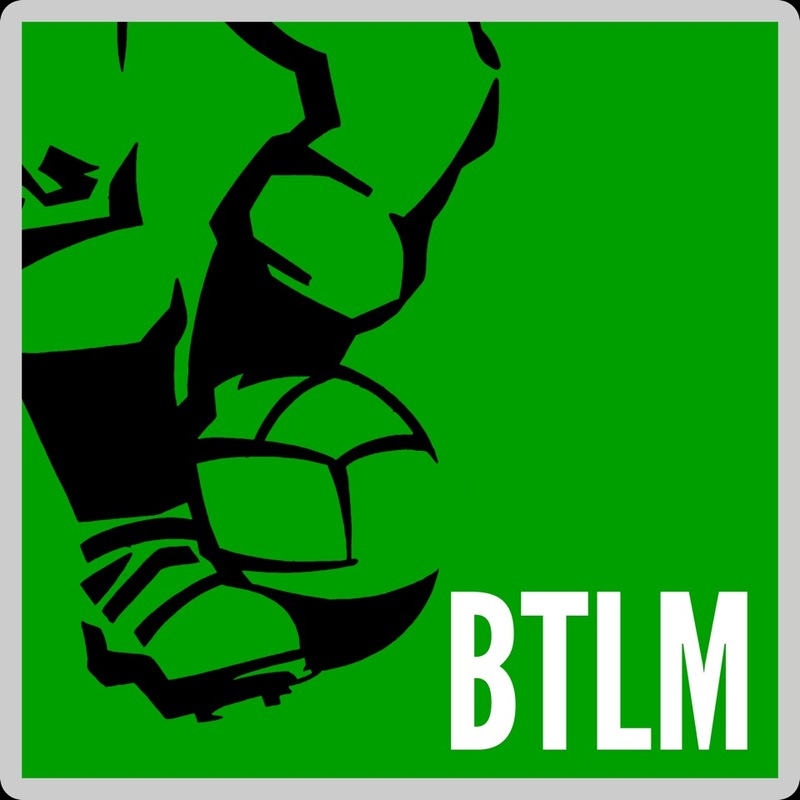 It featured huge players who could kick in any direction and gameplay that dispensed with most conventional stoppages like throw-ins and corners. 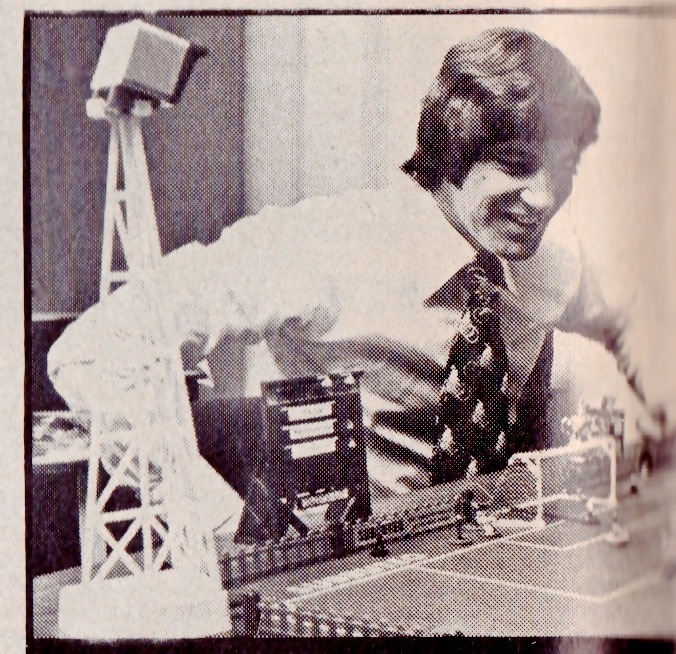 There is an excellent toy museum in Mechelen. 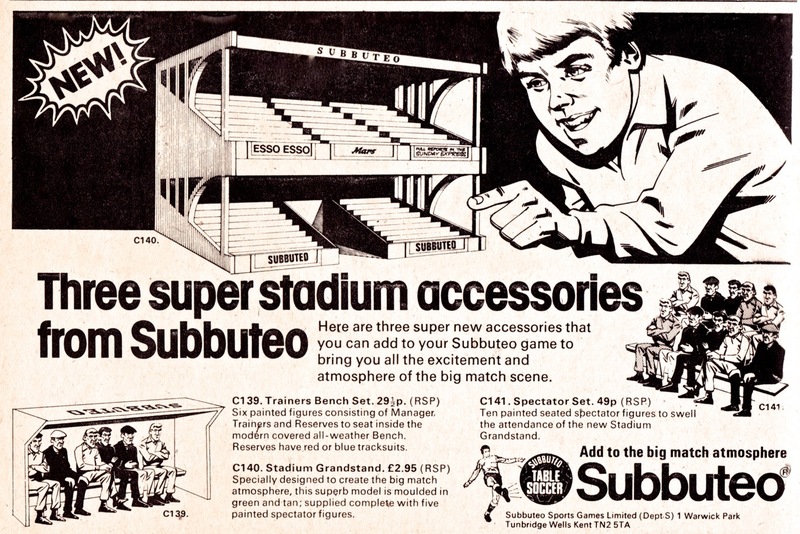 It used to have a Subbuteo display with every conceivable accessory in place – floodlights, pitch barrier, scoreboard, possibly even – from memory – a grandstand. 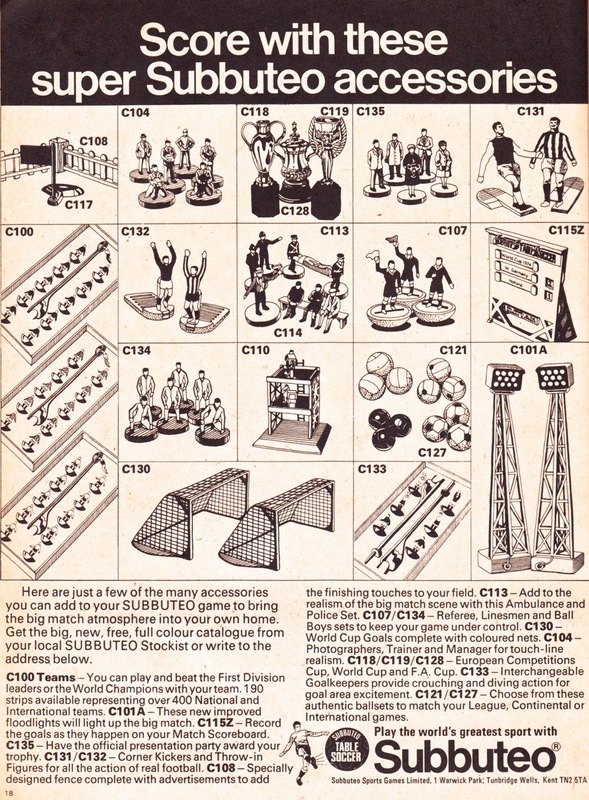 Yes, I remember that with other peoples’ sets. 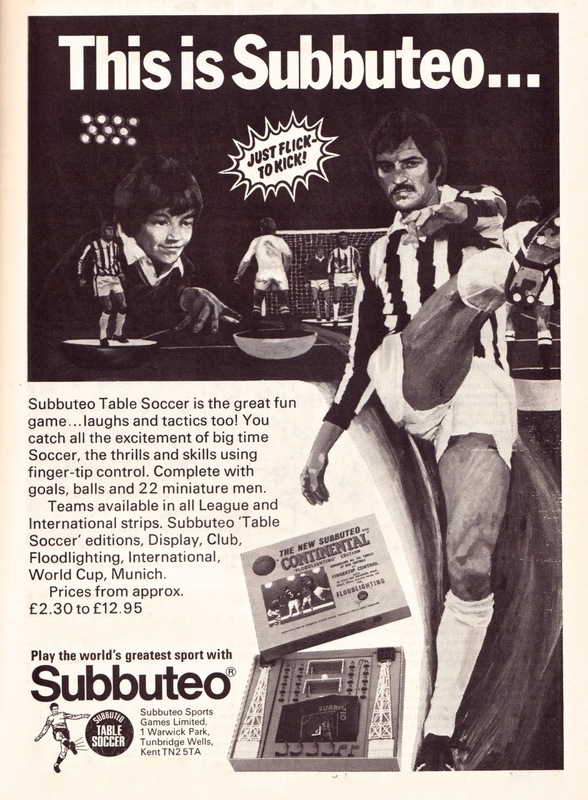 The more paraphernalia they had, the harder it was to reach anything.